Premium formulated products to keep your exterior bright and clean! cleaning product you need to make your car shine. surface and leather cleaner to keep your seats clean and supple. and our lense fixer will put you back on the road in no time! Premium formulated products to keep your exterior bright and clean! 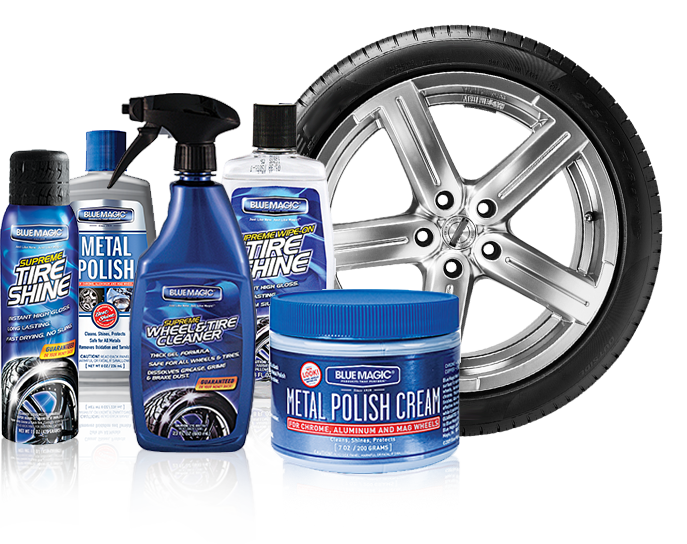 From our fantastic tire shine and wheel cleaners, to our metal polishes, convertible top cleaner and strong bug and tar remover, BlueMagic has the cleaning product you need to make your car shine. 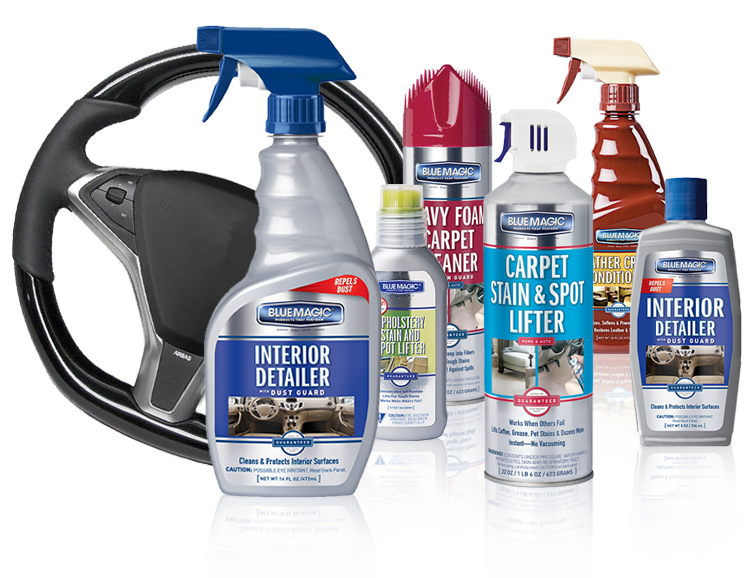 Our interior line of cleaning products is second to none, with one of the industries leading carpet stain and spot lifter. A heavy foam version is< also available for tough stains as well as interior cleaners for your hard surface and leather cleaner to keep your seats clean and supple. 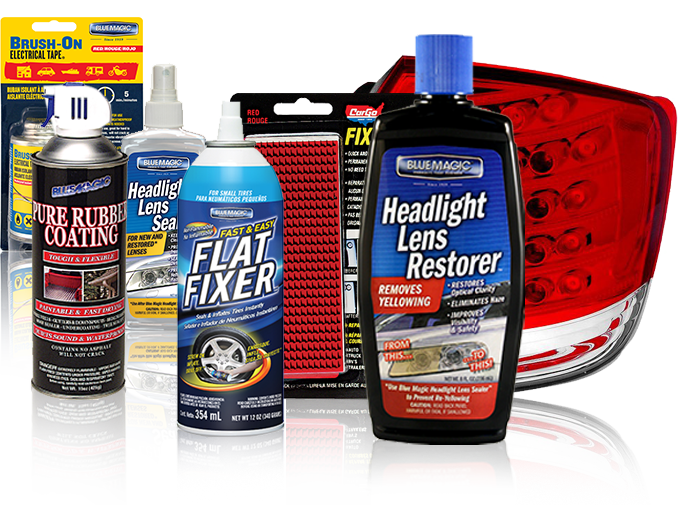 We have a full line of repair products for when you need it. Industrial leading Headlight Lense Restorer and Sealer will remove yellowing form your headlights so you can see clearly at night. Our flat fixer will plug up holes in your tire and our lense fixer will put you back on the road in no time!